About fourteen or fifteen years ago, my husband and I were on the membership committee for a club we belong to. To meet prospective members, we would have weekly cocktail parties with the members of our committee, the prospective members and the prospective members’ sponsors. I’ve never been a huge lover of cocktail parties but I looked forward to the ones for the membership committee. It was a time of life thing. I had little kids (2 and 4?) so I spent most of my time those days talking in simple sentences and pushing little people on swings or catching them at the bottom of the sliding board. The only adults I saw during the days were other exhausted mothers (and the occasional father) of toddlers, which meant our conversations revolved around such fascinating topics as potty training and temper tantrums and Kindermusik class. The cocktail parties were a two hour reprieve. Time out of the house. Adult time. Built in conversation around the club and the prospects. Wine in crystal glasses. Babysitter at home with the kids. One night, I went to one of these parties alone. My husband had a meeting and promised to meet me there, although he’d be a little late. I rushed around at home, getting ready with little ones pulling at my dress and playing with my hair. Usually, I had my husband around to occupy the kids when I was getting dressed but this evening, I was on my own until the sitter arrived. Finally, I got to the party. I straightened myself out, breathed deeply, and went inside. I took the glass of wine offered. I chatted with the committee members, the sponsors, the prospects. I was on my game, feeling myself loosen up, feeling the old me who knew how to use multi-syllabic words return to the playing field. I briefly let go of the responsibilities of being the mother of toddler girls. When my husband arrived, I was feeling good. I saw him from across the room but continued with the conversation I was having, knowing he’d make his way to me soon. He could tell I didn’t need rescuing, so he took his time coming over. He broke into a big smile when he saw me. Now, he likes me just fine but as a general rule, we were long past the days of being excited every time we saw one another. When it did happen, it was a pleasant surprise. Before what he said registered, he removed four or five pink and purple plastic barrettes from my hair. 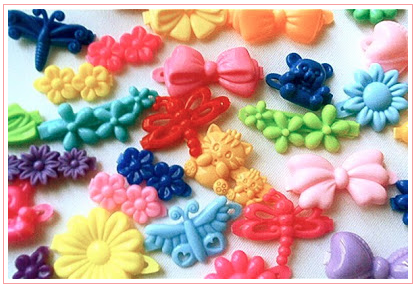 They were big and shaped like bows and had been decorating the back of my head for who knows how long. How many people at the cocktail party noticed them and decided it was in their best interest not to be the one to tell me how ridiculous I looked? Or did they think I was making some kind of bizarre fashion statement: heels, silk dress, gold jewelry and hot pink plastic barrettes? I guess they knew that eventually somebody would break the news to me. All the while, I thought I’d found my groove. I thought I had smoothly shifted into the role of adult, somebody who understood the rules of social interactions. I thought people were smiling at me because they enjoyed my company. When my husband handed the barrettes to me, I quietly slipped them into my purse and acted as if nothing had happened. Priceless! I hope you wear those barrettes again! The barrettes, I believe, have been handed down to the next generation of cousins . . .but maybe one day I will buy some more and make that bizarre fashion statement.